Hoban Design brings together a specialised luxury residential architect, Gary Hoban RIBA, and an experienced luxury homes developer, Brian Hoban. Hoban Design brings together a specialised luxury residential team. Gary graduated from University College Dublin with an honours degree in Architecture. He was awarded the Thomas Ivory medal by UCD for achieving first place in Professional Practice Diploma. In 2007, he joined WCS Architects in Dublin where he oversaw the design and management of a wide variety of projects, from large scale urban mixed-use developments to private residences. 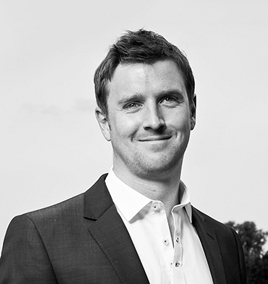 Gary joined TFF Architects in central London in 2010, a firm renowned for excellence in luxury residential design. As well as project managing high end residential schemes for private clients, Gary oversaw the co-ordination of a conversion scheme involving a major West End listed building to boutique flats on behalf of the Grosvenor Estate. Prior to establishing Hoban Design, he joined Tyler Mandic, a Chelsea based design and build firm. As the company's founder, Gary has amassed a wealth of experience from running the design teams for numerous residential projects on behalf of the Cadogan Estate, the Sloane Stanley Estate and private clients. With over 25 years of experience, Brian has been developing luxury bespoke properties throughout London. He has maintained an outstanding and award winning reputation amongst his clients and industry colleagues alike. Due to his keen eye for detail and quality of finish, he has achieved the finest designer homes for excellent value for money. In 1989, his first venture into the construction world was to establish Restore, a renowned London based specialist building facade cleaning and restoration company. He has carried out high profile restorations work on some of the most prestigious projects throughout central London. From 1997, Brian identified a niche in the market for the provision of luxuriously finished homes at competitive prices in the suburbs of SW London. His focus for the past fifteen years turned to refurbishment and construction projects of one off luxury residences throughout South West London and Surrey. Chris has developed a wide breadth of experience in the design, management and completion of projects throughout central London. These range from large scale social housing schemes, luxury retail properties on Bond Street and sensitive renovation works to Grade II listed buildings. Chris has also delivered cutting edge contemporary new build homes on greenfield sites that integrate the latest standards in sustainable design. 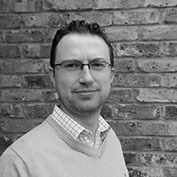 Having studied at Newcastle University, Chris has worked as Project Architect for a variety of high profile Central London practices. These include Dyer Grimes Architects, Hugh Cullum Architects and Tyler Mandic, where Chris worked together with Gary to manage the design teams on numerous projects for the Cadogan Estate. Chris has particular flair for conceptual design while also having extensive expertise in detailed working drawing packages and specification. With his hands-on approach to site management of contractors, Chris helps deliver the absolute best end product for clients for the best value for money. 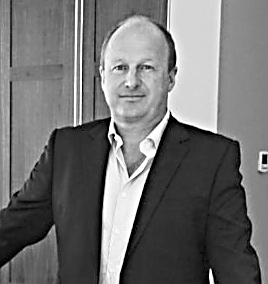 Barry is a chartered architect with extensive experience in both the UK and Ireland delivering multi-million pound projects from initial inception to completion. He attended University College Dublin in Ireland achieving honours degrees in Architectural Science in 2004 and Architecture in 2007. Barry worked for NBK Architects in Dublin working on a variety of commercial and housing projects for developer clients. As an associate director at TFF Architects in London, Barry oversaw a variety of high residential refurbishments, extensions and new build projects throughout Central London and the South East for both private clients and developers. Barry has a long standing interest in sustainable architecture. In 2010 he completed a Masters at Cardiff University in Environmental Design of Buildings. This has enabled Barry to deliver cost effective low energy projects as well as providing specialist advise on the latest environment technologies and products. 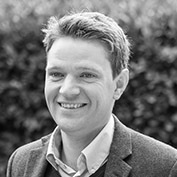 Edward has amassed a wide range of experience leading the design teams on educational projects spanning all levels of learning, as well as the residential and hotel sectors. Most recently, Edward has led the implementation of Building Information Modelling (BIM) on the new London Peninsula Hotel for Hong Kong Shanghai Hotels. The new hotel located on Hyde Park Corner will deliver 190 luxury guest rooms, 24-28 luxury apartments, the Hotel's signature Lobby, as well as restaurants, spa, and ballroom facilities. The hotel is scheduled to open in 2021. 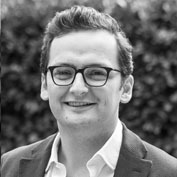 Edward completed his degree in architecture at the University of Liverpool, graduating with distinction before completing his masters at The Bartlett, University College London, graduating with a commendation in design. Since graduating, Edward has worked for Stride Treglown Architects and Hopkins Architects, before joining Hoban Design in 2018. Jodie has amassed years of experience in the field of architecture following a career in art and fashion. She gained a degree in Fine Art which became the springboard to gaining a full Bachelor Honours degree in Architecture. 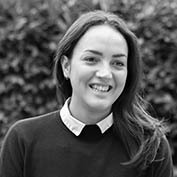 Jodie has many years of experience in high end residential design and refurbishment with David Ogilvie Design and Exedra Architects, whilst developing her passion in minimising environmental impact with The Cave Co-Operative Architects. She went on to develop her architectural specialism in sustainable and low energy technologies at the renowned Centre for Alternative Technology in Wales. Having studied in both Paris and Manchester, Mal has gained both her Bachelors and Masters in Architecture from the University of Manchester. Mal joined us in 2017, having previously worked on large scale master planning and commercial projects at W&R Group, Shanghai and Aedas, London. Mal is currently undertaking the final part of her studies as she develops the legal and managerial aspects of the architectural role in order to qualify as a fully chartered Architect and member of the RIBA. 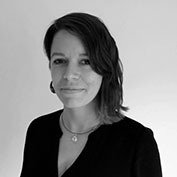 Eleanor previously worked as a senior designer for Conran + Partners and StaffanTollgard Design Group. She oversaw large design teams on award winning projects, including the Five Star Award for Best Interior Design for a London apartment at the International Property Awards in 2015. She has a keen eye for detail and process combined with extensive on-site experience, technical knowledge and experience in designing within the constraints of planning, listed buildings and conservation restrictions. Eleanor applies intelligent, well-informed design principles throughout all stages of design and construction to help deliver high-value finished products with desirable identities. 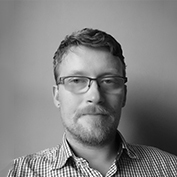 With over 15 years’ experience, Klaudiusz has worked with some of London's top designers and architects including the renowned TFF Architects, Jonathan Tuckey Design and Bere Architects. Klaudiusz has now cemented a reputation in SW London for excellent attention to detail, especially with developer lead residential projects. Klaudiusz brings his meticulous and hands-on approach to every task and provides highly valued support to the practice in relation to architectural detailing, mechanical and electrical services co-ordination and fitted cabinetry detailing. After recently graduating with a Distinction from the University of East London, Amber has gained both her Bachelors and Master’s Degrees in Architecture. 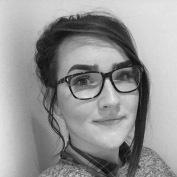 Amber joined the Hoban Design team in 2018 as part of her RIBA Part II placement, with the ambition to progress towards her Part III. Currently, Amber has experience working in both Commercial, Residential and Interior Design sectors across various design stages, and has a particular interest in Luxury high-end Residential Architecture. 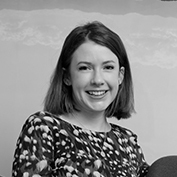 Amber’s main aspiration is to become an RIBA accredited Architect and to develop further Architectural experience overseas – with particular interest in working in Australia. 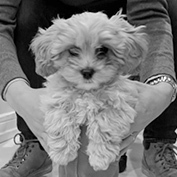 The finest and most recent addition to our team, meet Penny, the Hoban Design office dog.